Those are the prettiest pair of welles I have ever seen! Oh, my golly! What a fabulous redo of the wells. They are so charming. 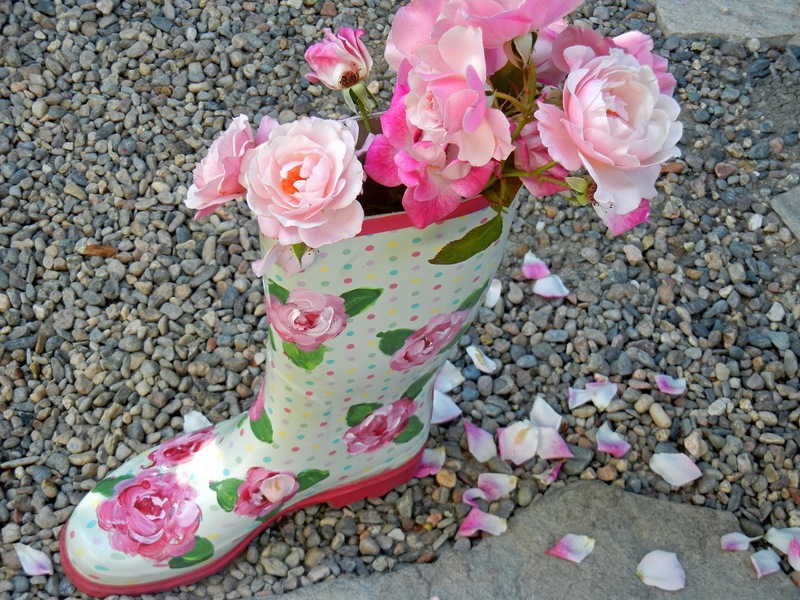 Your roses changed your Wellies to fabulous. Well, you rocked those boots! they came out just gorgeous. You always make your art such fun! Enjoy the weekend ahead...I know you will! Hugs! I love your roses on your welles! They are fabulous! You are quite the artist! 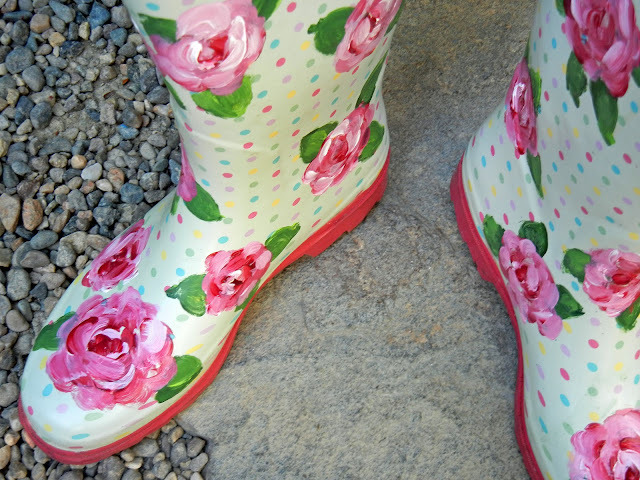 Your wellies are so adorable! Thank you for the scripture, it will lead me through the weeks ahead. Honestly, those wellies made me laugh! LOVE them. Oh, what a pretty pink post! 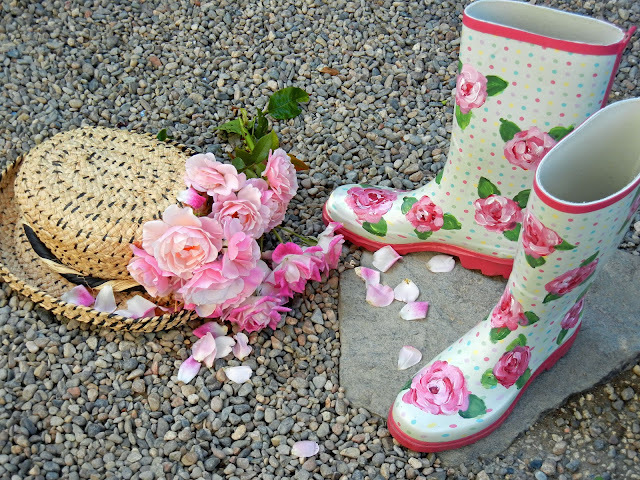 I love the roses on your wellies and I love that you added scripture to your post. Have a delightful weekend and Happy Pink Saturday. I'm a new follower. Please come say Hello. Your garden is so lovely and I love the boots. When I hop onto a Pink Saturday post when I'm not doing Pink Saturday,I miss everyone so much. You have a great pink post. Love the boots. I liked seeing the development of the roses - layers of how you see them. Really neat. Oh, and you just have to give Bentley an bunch of love from me. I love how you include her in the posts. I get to say hey to you and Bentley. We're still quite warm here too. Have had some rain - which we are thankful to have. It closed up some of the cracks in the ground. We're hoping for more rain. It kind of looked like fall yesterday -everything all wet with rain and the dead brown stuff everywhere. Enjoy your roses and climate! I can't believe that you painted those pink roses on your boots! You did an amazing job! Your roses are still blooming beautifully. I think I saw the last of mine a week ago, but ya never know if they will pop up again. 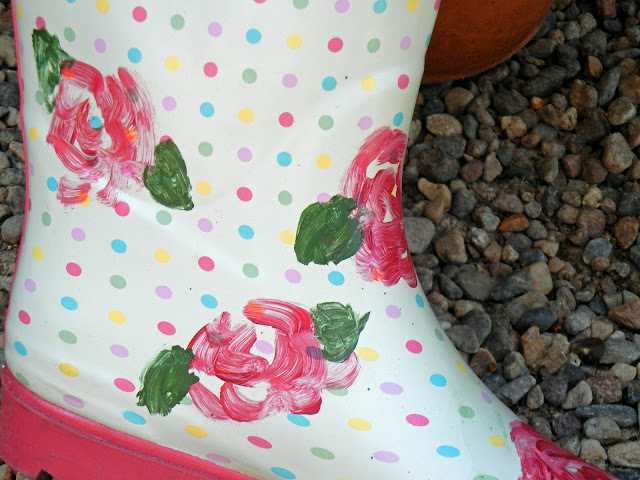 I really loved your boots - I'm a polka dot girl too. Love the boots Erin, they came out so very pretty. Your boots are beautiful! And your rose painting with the brushes how pretty! I enjoy your quotes and scripture also. Yours is a beautiful and inspiring blog! Your boots are beautiful! Love your rose painting with the brushes! Just a beautiful and inspiring blog! It is a brilliant idea Erin. The custumized welles look just incredible. 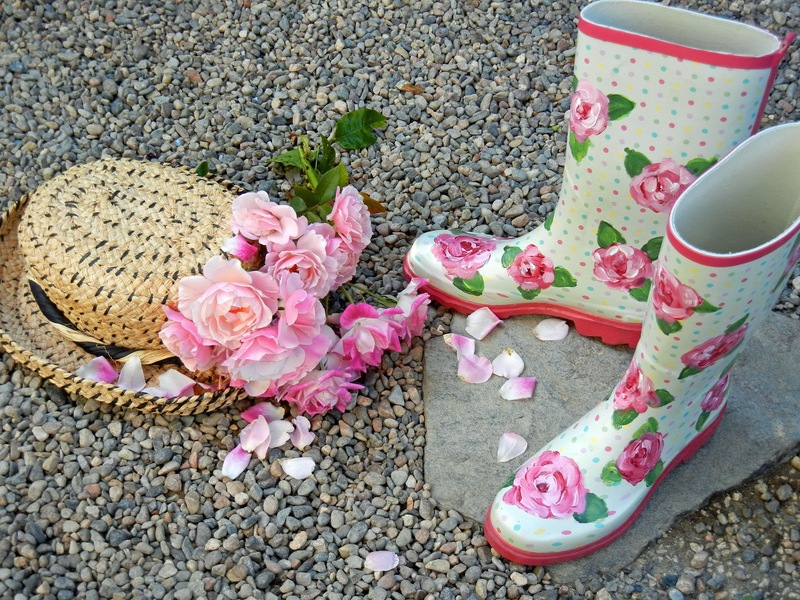 I just imagine you being in your garden wearing these fabulous welles matching so perfectly the last blooming roses. You make that look so easy. Love your roses. Thanks for sharing. Erin- I saw this post a while back and didn't have the time to leave a comment--- so I'm back to say that these are the cutest things ever!! I love the roses-- I'd wear these in a heartbeat! !